Are your Forms “Millennial” Ready? Stat says that more than 70% of the companies still use basic online channels i.e email & web forms for Lead Generation. The world has now moved on from text messages to insta-read & instant reply WhatsApp; from recorded videos & pictures stored in cameras to instant check-ins & messaging on Facebook. “INSTANT” in other words “Live Chat” — is what driving the consumer business now-a-days. In simple words; Customer sends a message & a representative responds. This response is either human or AI automated & let’s not forget; it’s “Instant”. Does the embedded email web forms provide this “Instant” solution? What drives “INSTANT” is “quick attention”. A visitor visits your website & immediately grabs attention if the website serves his needs. Thanks to digitization; the average attention span of humans has fallen down from 12 seconds to 8 seconds. The average time of filling the form & submitting your inquiry takes minimum 60 seconds; 7x times the average attention span. So by the time the visitor fills the form, there is a big risk to lose visitor’s attention . Imagine the amount of potential leads you would have lost in the given time. 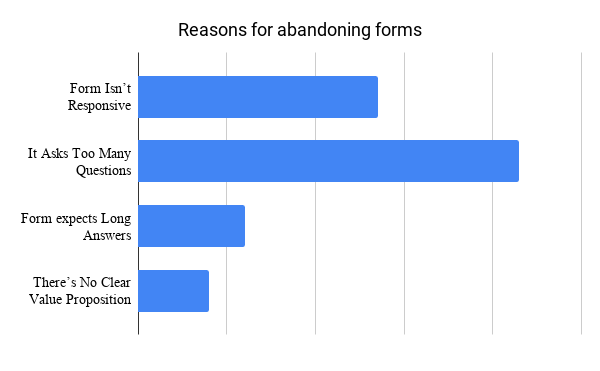 We did a basic survey to understand the challenges people face to communicate with brands by filling their forms. 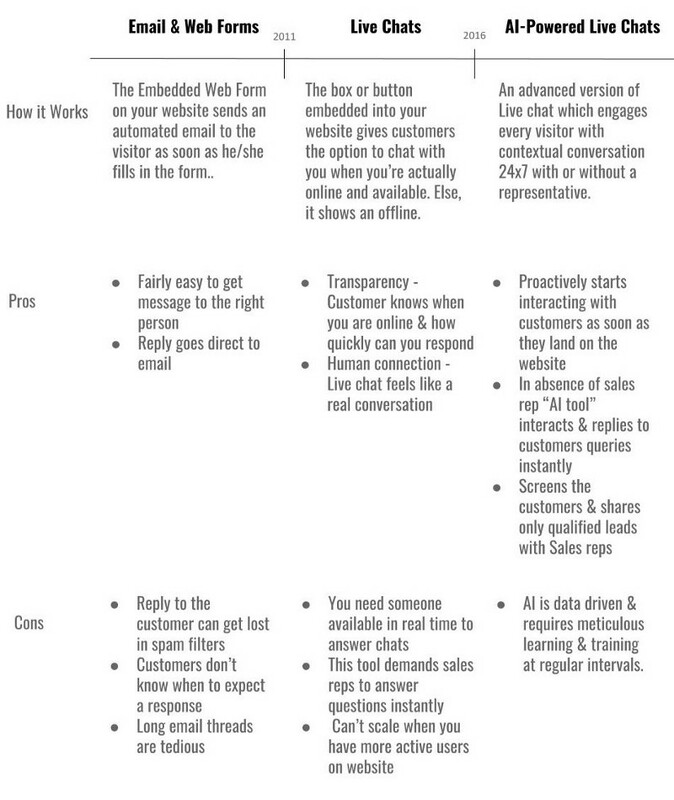 Incorporating “AI Powered — Live Chat” that can screen the potential leads is the need of hour. Why should we opt for “AI Powered — Live Chat”? Messaging tools have taken over the social media. This WhatsApp Millennial Generation now prefer to communicate directly with brands. Thus, having a Smart AI Powered — Live Chat which gives customers a one-to-one connect instantly when they visit the website 24×7 any time serves the purpose. With the use of this “smart tool”, you do not require multiple resources to attend to new visitors on your website 24×7. In the absence of a representative “the AI” takes over the human conversational interaction with the visitors. You can thus focus on few but smart resources who can work on strategies to increase sales conversion. This new technology gives businesses the power to answer multiple customer inquiries at an unprecedented speed even with limited resources. So if there be a sudden outburst of huge website traffic visitors or negligible, this “AI Powered Human Conversational tool” makes every visitor feel connected & important. This tool segregates the visitors into the ones having low & high intent for buying your product/ service. With its detailed “contextual human conversational analysis” it just fits the visitors in the right category of the marketing funnel. This eases down majority work of a sales representative & they know exactly what to convey to the visitor. IntelliTicks designed as a next-generation Live Chat Platform leverages the power of AI to engage and interact with website visitors 24×7. IntelliTicks makes sure that each and every visitor who comes on the website is given priority attention — there is no waiting queue for prospects. How can you become a great marketer? How do Chatbots help in lead generation?